Turner's voice is one of those simple pleasures he sings about, "right there with butter beans and cherry pie"
Hold onto your Stetsons, charming country crooner Josh Turner is on tour! The singer and actor's rise to stardom started with breakout single 'Long Black Train' in 2003 and culminated in Billboards' biggest hit of 2012, 'Time Is Love'. His latest single 'I Serve A Saviour' debuted at No. 1 on Nielsen's Country Album Chart and No. 2 on both Billboard's Top Country Albums Chart and Top Christian Albums Chart. This is Turner's first appearance on Billboard's Christian charts but is the eighth top ten appearance on Billboard's Top Country Albums Chart for the multi-platinum-selling singer. For a clean-cut, all American songwriter, Josh sure does have a voice that belies his image. With a smooth, rich baritone and a kilowatt smile, he commands every stage he steps onto, lighting it up with an energy and exuberance that can whip up any crowd. Whether he's encouraging mass sing-alongs or toning things down with a sweet-as-honey ballad, Turner's doing exactly what he was born to do. Catch him when he plays in , , . Sound good to you? 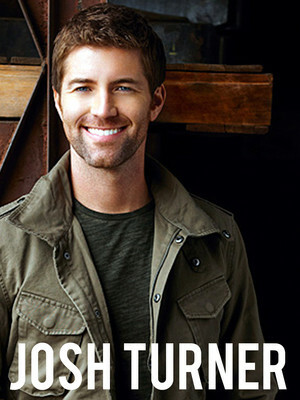 Share this page on social media and let your friends know about Josh Turner at American Music Theatre. Please note: The term American Music Theatre and/or Josh Turner as well as all associated graphics, logos, and/or other trademarks, tradenames or copyrights are the property of the American Music Theatre and/or Josh Turner and are used herein for factual descriptive purposes only. 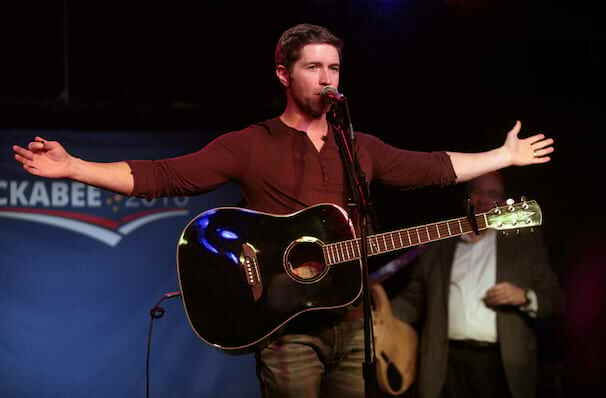 We are in no way associated with or authorized by the American Music Theatre and/or Josh Turner and neither that entity nor any of its affiliates have licensed or endorsed us to sell tickets, goods and or services in conjunction with their events.